One of the ways that the universe may attract our attention is to show us physical signs on a regular basis like mirror hours, reversed mirror hours, and triple mirror hours like 03:33. There are reasons that these hours may appear and it is important for us to understand the messages behind them so that our lives may be guided in the right direction. The messages within these numbers are a way of alerting us and the universe wants us to understand their significance. If you see the triple mirror hour 03:33 often then you should know that it is too mysterious to be ignored. Behind this hour there is a significance that you should be made aware of and a message calling for your faith in humanity. The universe works with us on all levels of our life day in and day out. It loves us, guides us, and protects us. If you want to uncover the message hidden behind this triple hour you can gain a more complete understanding by trusting an interpretation of it using the guardian angels and an analysis of it using numerology. 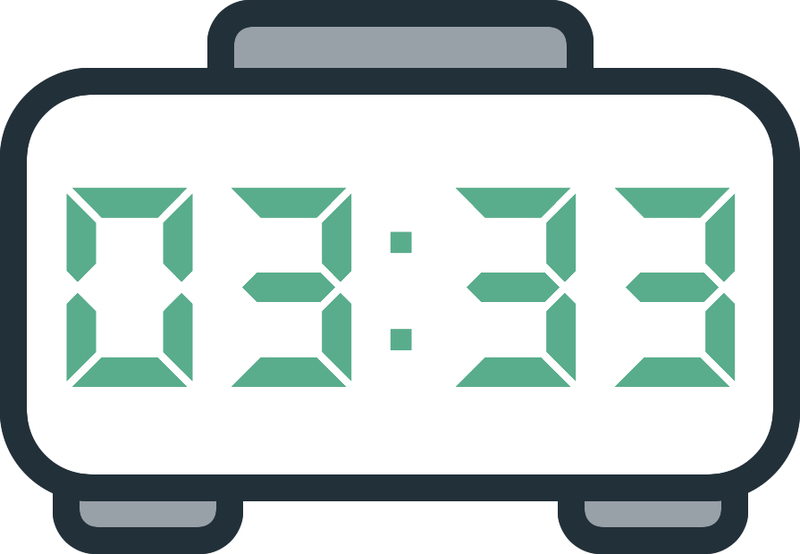 If the guardian angel Lauviah has a connection with the triple mirror hour 03:33 or the number 333 then he is the symbol of premonition and reciprocation. He has messages that he wants to send you. This angel is using this hour to tell you that he will allow your friendly and romantic feelings to be reciprocated. He wants to reassure you that through his valuable support you will no longer face relationship problems. This guardian angel is also letting you know that he will give you refreshing and restorative sleep and get rid of the different sleeping troubles you may be having at this time. He wants you to know that he will have influence over your dreams which will allow him to give you premonitions or confide in you. He will give you the ability to understand things instinctively without the need for lengthy study or analysis and will also give you telepathic abilities. He will help you to understand the higher planes of existence through dreams, insights, and premonitions. 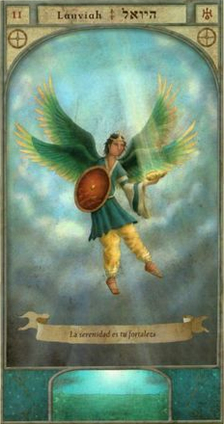 The guardian angel Lauviah who is your patron and protector is using the triple mirror hour to indicate that during the night he will help you to grasp the greatest mysteries of the universe and the laws of the cosmos. Thanks to him you will find it easy to penetrate the mysteries of your unconscious mind. Lauviah is also using the hour 03:33 to tell you that under his protection you will find peace and tranquility. He will help you to fight against suffering and sadness as these are obstacles to your personal fulfillment. Thanks to him you will be happy nearly every day of your life and you will no longer feel morose or defeatist. He is also letting you know that he will aid you in your spiritual advancement. The guardian angel Lauviah is using the triple mirror hour to tell you that he will help you if you are living in delusion, if you are ignorant, if you have mistaken perceptions, a poor attitude, or if you do not believe in God. At the same time he reassures you that he will help protect you from broken promises and material concerns. He will use his powers to chase away deceitful and malevolent spirits. What does 03:33 mean in Numerology? 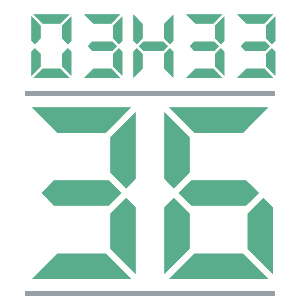 In numerology we can also interpret the triple mirror hour 03:33 using the number 36. This number suggests good vibrations and facilitates interaction and social exchanges. This will help you when setting out to conquer the unknown and when you go traveling. The angel number 33 also brings with it an inspiration to be productive, as well as originality and a much more open mind. You should also know that this number, once associated with the triple hour 03:33, represents social success which can be achieved through creative energy and a unique character, but most of all through your work. You are therefore capable of being successful in anything that you do professionally. You are lucky and have substantial support which will allow you to achieve the results you desire, however this number also warns you that you are going to experience a moment of uncertainty and doubt. If you come upon the number 36 via the triple mirror hour 03:33 then this is a sign that you should maintain balance in your life to allow yourself to thrive fully. You should forget about your fears, your anxieties, and your worries because these are obstacles which risk holding you back. Keep moving forwards, keep being optimistic, and keep thinking positively. In numerology the number 36 also reassures you that in your future you have nothing to worry about. Your path has been set beforehand and your guardian angel will be there to watch over you and to stop you from tripping up along the way. He will always put you on the right path and will help you to make the best decisions in all areas of your life. Keep in mind that he wants nothing but your happiness. The angel number 36 also indicates through the triple mirror hour 03:33 that to succeed you should maintain a good relationship with the people around you. Remember that you won't find success by yourself; you need the love and affection of your family and friends. They will lift you up and help you along the path to success that you have dreamed of achieving for so long. Any comment on the 03:33 mirror hour?